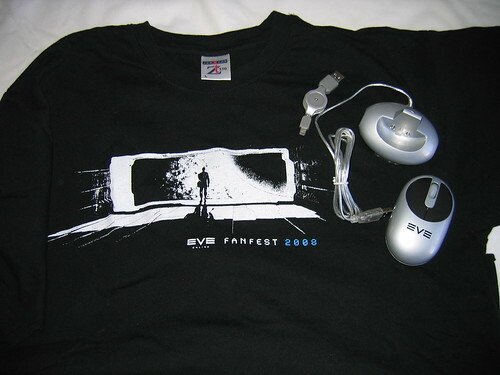 CrazyKinux's Musing: Win some EVE Fanfest 2008 Memorabilia! Well I got the commenting. Guess I will have to work on the others! Nice initiative, but I'll have to pass. "L"? What the hell? You think I'm a dwarf? (sorry, little person) I'm a nerd and a geek, and if there's any stereotypical traits, then by god, overweight is one of them. Just so you know Shaun, I'm 1,95m (6'4") and 104kg (230lbs), yet I'm keeping one T-shirt for myself. They're a bit bigger than the regular Large I'm used to. Then again, XL is more my size! * Blogger - done, but normally i'm following you via and all the others via Google Reader. CrazyKinux, you inspired me with your blog networking proficiency! When I was signing up for a Technorati account, I found an easy way to add all the EVE Bloggers to Technorati favorites and created a guide to adding EVE Bloggers to Technorati at my blog. 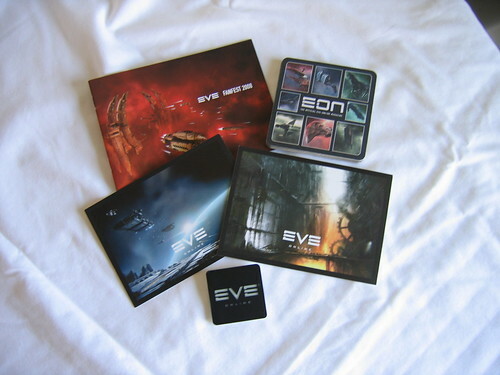 I think if the EVE bloggers and blog readers check this out, we can seriously kick up the Technorati influence! @CosmoChick - Plagiarize all you want! It's what I call a win-win situation. 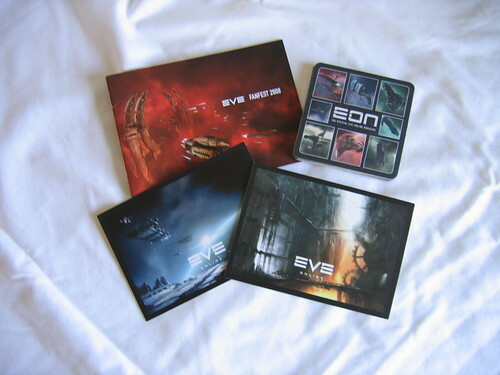 I win readers, subscribers and linkage, and 3 lucky individuals get to win some neat stuff.